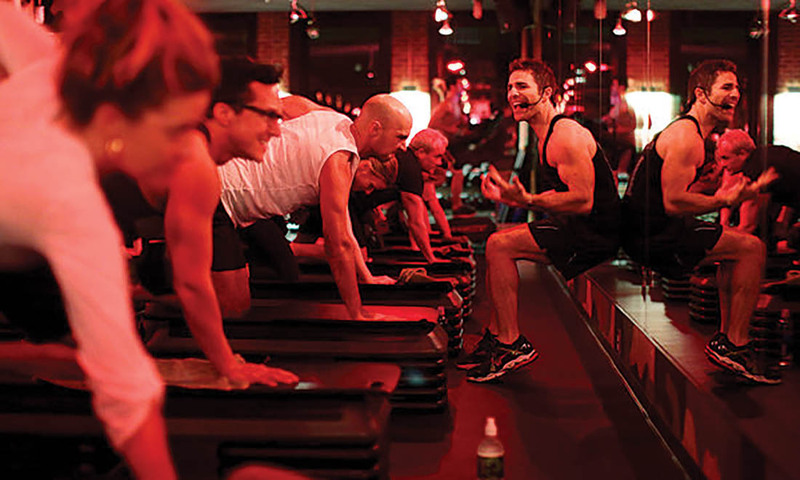 If you want to really be sore and get the best bang for your buck, try a workout at Barry’s Bootcamp. They offer special student pricing and your first class is only $20. If you really love it you can purchase a discounted student package as well. The combination of interval training on the treadmill and strength training makes it truly a killer workout. If you love hot yoga and a good sweaty workout, CorePower Yoga offers new members a full free week of classes. Yup, that’s right, free. And if you love your free week they offer special pricing if you show them your student ID. Typically a single class runs you $26, but students get a drop in rate of $16. The Handle Bar is known for playing upbeat, fun music that is easy to ride to. If you love spinning or are looking for a fun place to workout in a group setting, definitely check out one of their locations in the Boston area! Similar to Barry’s, Orange Theory is a group training session with a combination of HIIT and weight training. The cool part about this studio is if you buy a heart rate monitor you can track exactly how many calories you burn during your session and have it displayed during class. Your first class is absolutely free and they offer a discount on their membership packages for students. Many people forget about it, but the plex actually offers the most variety of classes for the best deal. They are all free, so take advantage of the wide ranges of classes while you can. They have classes from spin, to yoga and even personal training sessions. If you are bored of just running on the treadmill these classes will spice up your workout and will be tons of fun.